‹‹ How many people are moving to Nashville? We found our Dream Home, Now what...? Believe me, it happens all the time.... You are wildly happy and excited that you have found "the home". Your executed ​contract is in place. The next phase​ of this important transaction​ is ​moving forward​ to the closing ​date​. This is​ the time​ where having a professional Realtor in your court ​will be the most beneficial​. There are laws in place to protect you as a buyer and​ also,​ as a seller. These laws are designed to make sure you have no regrets. The laws also protect you from any ensuing battle or chance of losing your hard earned money. Here are a few incidents that many buyers and sellers ask about. * Am I able to look at other offers - Yes, up until the time you have agreed in writing and there is a binding agreement date. At this time, any offer that comes in can only be used as a backup offer. * Buyer financing falls through - This is obviously why a buyer would have a contingency in the contract regarding financing. There are other ways to work this out but it is designed to help both parties. A great way to be assured of a better contract is to be pre-approved before writing or accepting a contract. * HOA By Laws & Disclosures - These are some documents that should be read before writing a contract . * Why a Home Inspection - This is to protect the buyer from unknown items regarding the condition of the home they are purchasing. Having a home inspection done by the seller before listing is a great way to avoid any surprises. However, I recommend that buyers hire their own inspector and get their own report. This contingency is used to determine whether or not to buy the house, not to remodel or rebuild the house. * Sale of Home Contingencies - As a Seller, keep in mind that today's market is better than it's been in a long time. With that being said, the location and price of the buyers home should determine whether or not to accept such a contingency. Things that are priced right move fast and so should your house if it's priced right. Purchasing and Selling your home can be an emotional process. 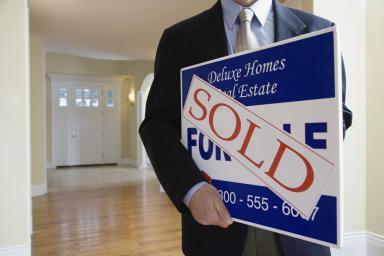 There are a lot of variables and moving parts in a real estate transaction and NO two deals are the same. Make sure you are properly represented in today's fast paced market. Always remember, ...."You've got a Friend in Real Estate"